Reviews of tactical equipment suitable for civilian and law enforcement personnel. This will also include any civilian equipment that is useful in tactical environments. All equipment is personally tested by Albert A Rasch, or by fellow team members. 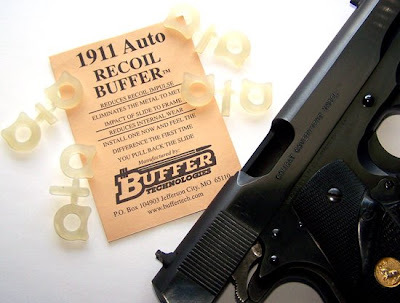 I have the opportunity to field test and report on Buffer Technologies 1911 Recoil Buffer. Designed to reduce felt recoil and muzzle jump, they also extend the 1911's service life by ameliorating the metal to metal impact of slide to stop. 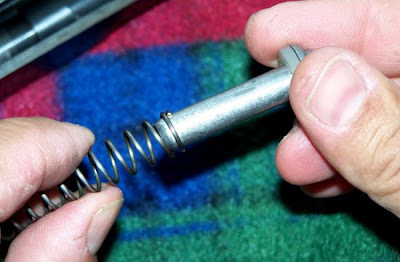 Recoil spring and recoil spring guide before adding buffer. 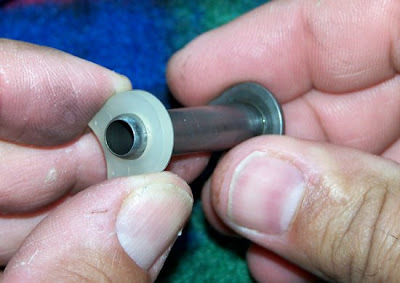 The buffer is made from a specific and proprietary polyurethane. It provides a considerable amount of protection to the slide as it reaches the end of motion and slams into the recoil spring guide by cushioning the impact. This is what loosens a 1911, the repeated slamming of the slide against the stop. 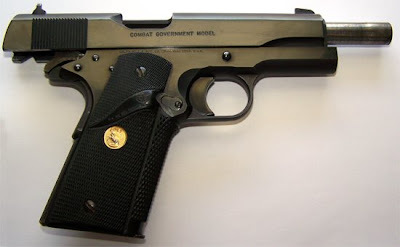 For a minimal investment you can protect your 1911, and extend its service life immeasurably. 1911 Recoil Buffers and my Colt Government Combat Model 1911. It was a factory option back in the early eighties. Installation is very easy and requires no tools. I carefully cut the buffer from the strip so there wouldn't any extraneous piece. 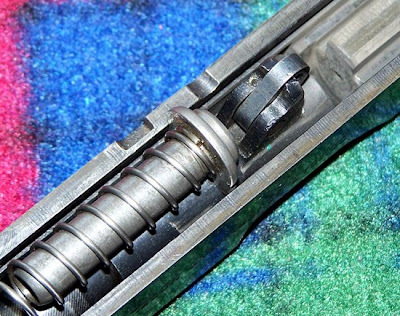 Field strip your 1911 and pull the recoil spring guide and spring out. 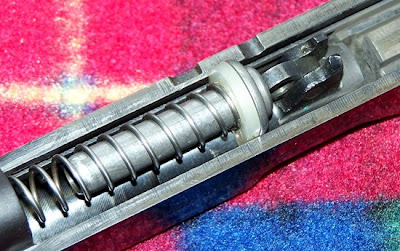 Slide spring over recoil spring guide. Buffer Tech 1911 Recoil Buffer in place. I took the Colt out and ran a magazine through it. I noticed that the recoil impulse was definitely different. It was a little less sharp and I was back on target perceptively faster. We are talking about fractions of a second overall; this won't make you competitively faster, but that's not the point. It does what it is advertised to do: save your slide, reduce muzzle rise, and reduce felt recoil. I'm a big fan of inexpensive things that pay for themselves quickly and in large multiples. The Buffer Technologies 1911 Recoil Buffer is one of those items that does exactly what it says and saves me money. With a street price of $6.99 for a package of eight, I give this a "Rock Solid Buy." Another real nice job, I ordered mine on your recomendation, That's the second time now! 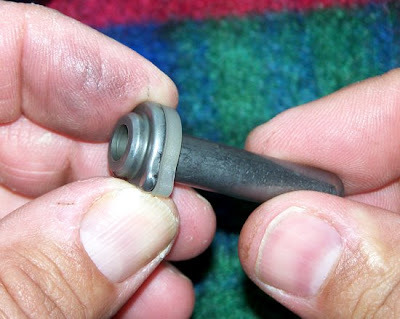 Keep in mind, especially if you use a heavier recoil spring rather than mainspring, there is no buffer made that slows the slide going forward into battery but the loading of a cartridge. Avoid dropping a slide on an empty chamber at all times for the same reason. Hammering the front of a slide isn't any better than hammering it on the back half. The picking up of a round on the way to battery slows the slide, as GOD, I mean JMB, intended for it to. Once again, thank you for the clear, lucid, and demonstrative explanations. All of the pictures, logos, drawings and other information on this website is copyrighted and may not be copied or reproduced in any way unless you have the express written permission of Albert A Rasch. All rights reserved, 2000,2001,2002,2003,2004,2005, 2006, 2007, 2008, 2009, 2010, 2011.